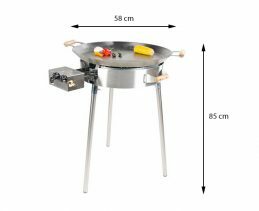 Here you can find biggest assortment of GrillSymbol PRO Paella Cooking Sets . 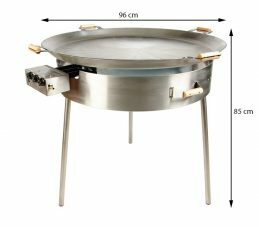 Bigger models are widely used by caterers, pubs and restaurants. 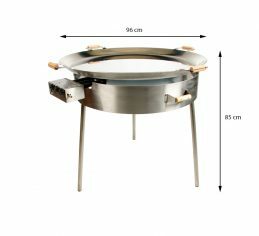 Professional chefs value GrillSymbol products highly because of safety, durability and capacity. 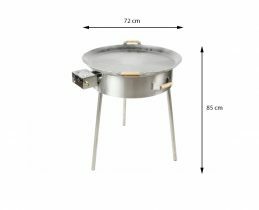 Smaller models are for home users. 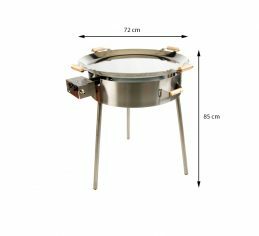 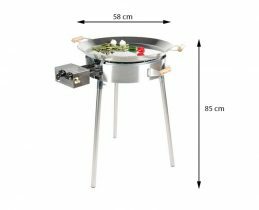 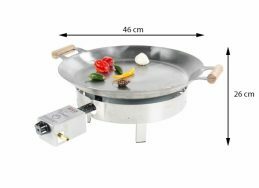 Hobby chefs appreciate our Triple Windshield system similarly like professionals- when you use GrillSymbol PRO series Paella Burner Set, the problems with gas flame caused by wind is history. 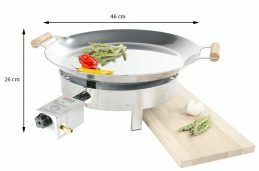 GrillSymbol has both steel and stainless steel (inox) product lines, so you can choose pan under your needs.